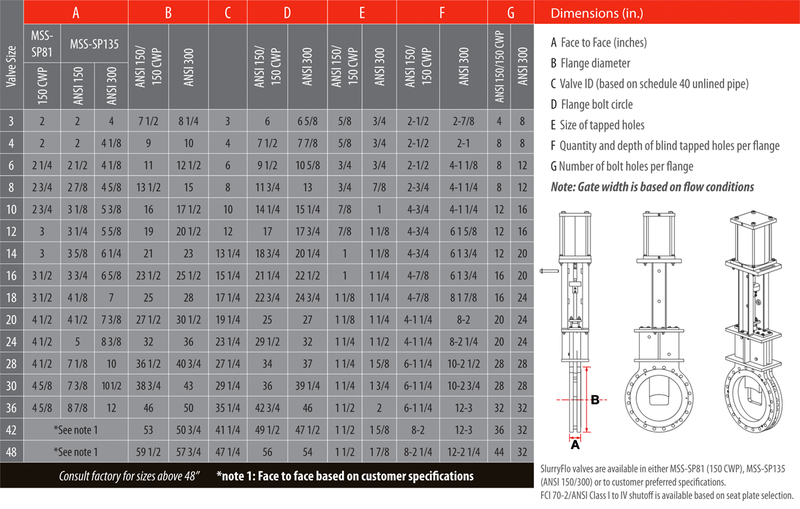 SlurryFlo control valves are available for 3 to 60 inch pipe diameters. Consult SlurryFlo for larger sizes. From low pressure gravity fed applications to systems with 1500 PSI, SlurryFlo manufactures valves to CWP, ANSI 150, ANSI 300 and ANSI 600 standards. As metallurgy is highly dependent on application specifications, our valves are available in dozens of standard and exotic materials (e.g. Carbon steel, 316SS, Hastelloy, SuperDuplex, Titanium, Platinum, etc). There are no limitations on materials. 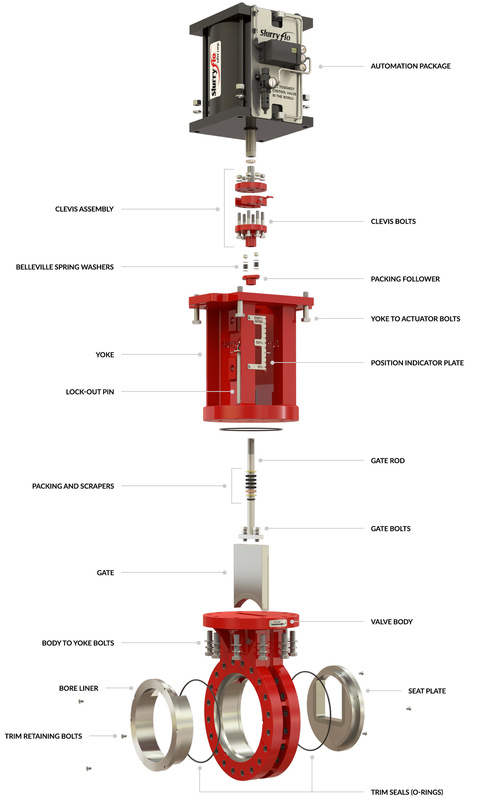 Each SlurryFlo control valve is custom manufactured to our engineers exact specifications. If an application requires the valve to modulate clean fluid, there are several designs that will provide both tight shut-off and control. However, when the media contains solids (i.e. slurry), there is no perfect valve. The designs typically chosen to modulate slurry will provide tight shut-off when brand new, but often leak shortly after being in service. SlurryFlo control valves provide Class IV shut-off when new and well into their service life. The unique metal-to-metal seating surface overlaps to maintain Class IV, even after substantial wear. A Class IV shut-off isolates 99.99% of the flow. 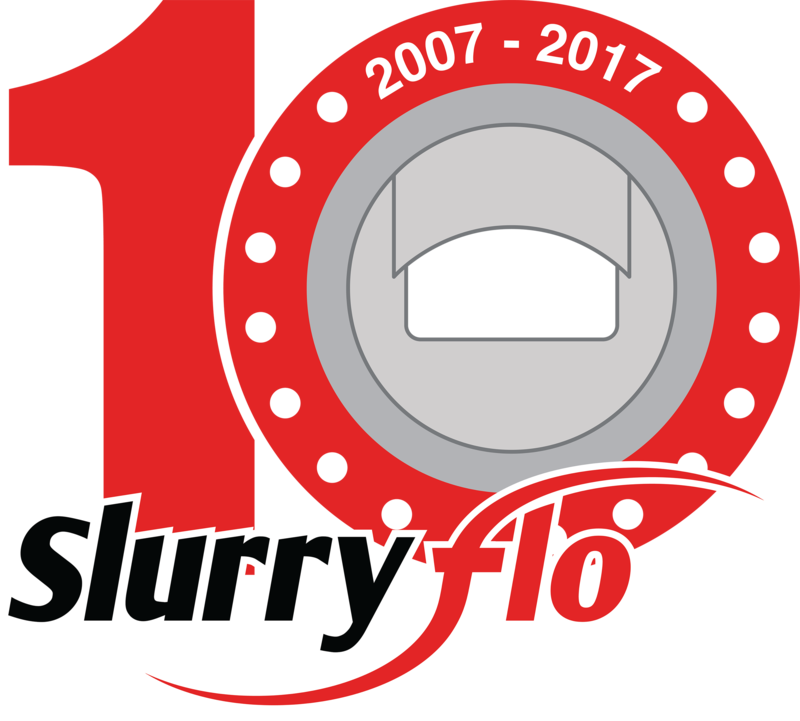 SlurryFlo engineers use state-of-the-art design and flow-modeling software to build and test control valves in a virtual world. They create unique flow characteristics and select materials for optimal abrasion resistance. The result is a customized control valve that meets your exact application requirements. SlurryFlo manufactures a full range of ANSI 600 control valves for higher pressure applications (rated to 1480 PSI working pressure). Please consult SlurryFlo if dimensional specifications are required. 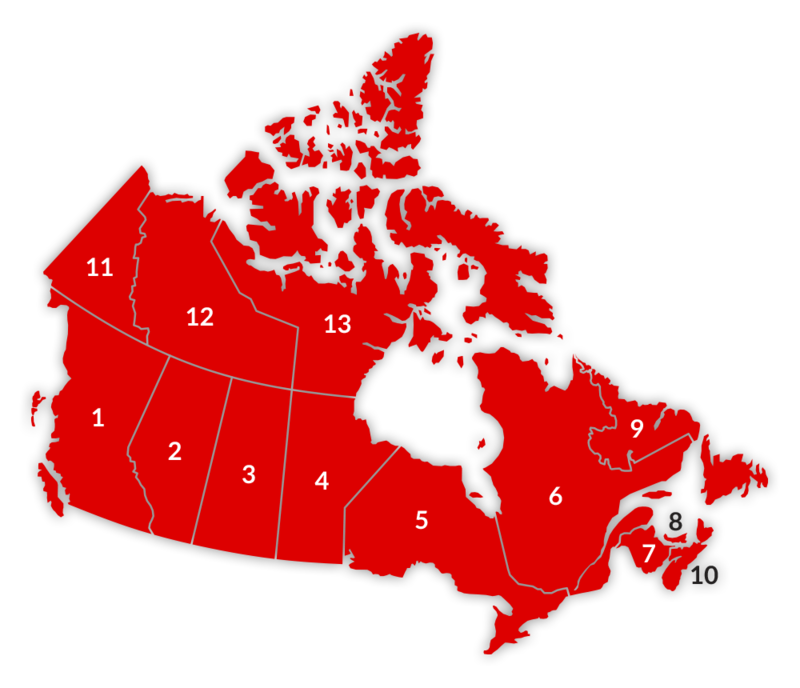 SlurryFlo holds Canada wide CRN's for all control valve designs, sizes and pressure classes.